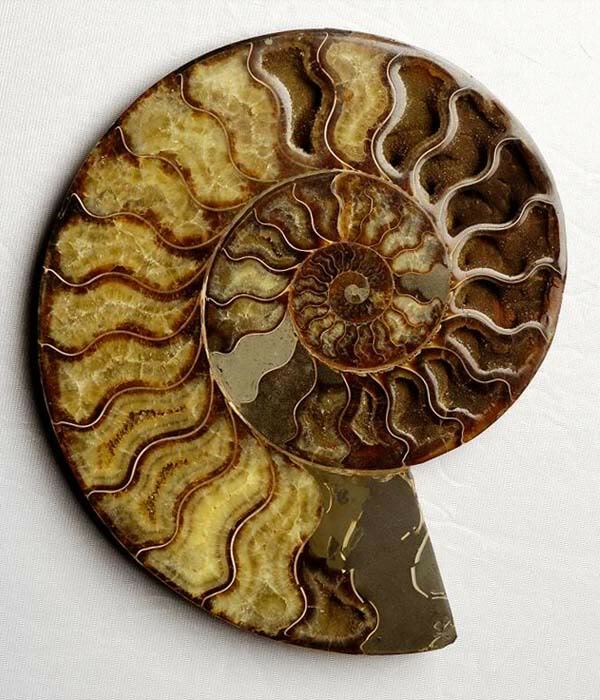 The Crystal of the Day Sunday 15 September 2013 is Ammonite. Ammonite is fossilised ammonite that has been compressed under great pressure beneath the ground, which is what gives it its wonderful colors. Ammonite is said to radiate positive Earth energy, and to bring good luck and prosperity. It is also said to grant miracles. Ammonite is excellent as a tool for deep meditation. Ammonite is also used mystically for general good health, stamina and high energy. In ancient Egypt, this fossil is named for the Egyptian god Ammon, because their shape resembles his ram horns. Ammonite was prized by the ancient Egyptian and Roman societies and likely many other cultures the ammonite was seen as a symbol of almost any diety was was connected the the cureved horns of the ram. For this reason they were considered sacred in Ethiopia. The natives of this regioin wore the ammonite primiarly to assist with prophetic dreams, but also it is said to grant deep meditation. Fossils including not simply ammonite, but snake stone, witch stone and sponge are all negative impressions or remains of ancient creatures and plants that disapated from the earth millions of years ago, and eons of time have turned them into stone. Since these creatures were once alive, they are linked with the fifth element, Akasha. Fossils represent time, eternity, evolution. In general they are used as protective objects, worn in jewelry to increase your natural defenses. Fossils of all kinds are worn as amulets to increase life span, due to their lineage. Ammonites were known in the Middle Ages as draconites, due to their spiral appearance they were believed to come from the head of dragons, and were often bound to the left arm for magical projection. In more recent times in Britain they were called snake stones. Ammonite is used in finding your way down the spiritual spiral path to the center where the God and Goddess await, as well as past-life meditations. It is told that these ‘stones’ radiate positive Earth energy, and to bring good luck as well as general prosperity. Ammonite helps to dispel chaos and turns negative energy into smooth, flowing energy especially 1st, or Root/Base Chakra. Ammonites are often used for activating Kundalini and life path energies, especially due to the spiral shape, similar to the coil of the Kundalini energy.